The Deputy First Minister and the Secretary of State for Scotland clashed in the third Scotland Tonight debate on independence. Nicola Sturgeon and Alistair Carmichael have cross-examined each other on Scotland's constitutional future. Ms Sturgeon and Mr Carmichael each had nine minutes to ask questions of the other. Mr Carmichael, having won a coin toss prior to the programme, decided to go second. The deputy SNP leader's opening salvo was on child poverty, asking the Liberal Democrat politician if he knew how many children would go into poverty if Scotland remained in the UK. 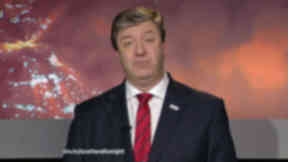 Mr Carmichael did not provide a number, prompting Ms Sturgeon to say: "I am astonished that as Secretary of State for Scotland you don't know how many children are being pushed into poverty by your policies." She added: "The Child Poverty Action Group says this: As a result of government policies there will be massive rises in child poverty in Scotland alone, between 50,000 and 100,000 more children living in poverty by 2020. Now a that you do know the figure are you prepared to accept that?" However, Mr Carmichael pointed to a recent report by the independent think-tank, the Institute for Fiscal Studies, which argued that an independent Scotland would have to raise taxes or cut public spending to balance the books. He charged: "What I do know because we heard it from the Institute for Fiscal Studies. If we were in an independent Scotland now, there would be further cuts in public expenditure required, or else taxation would have to go up. This is the problem. You see, like everything else there is only one time that you can spend the money and that is why we are having to make some very difficult decisions." The SNP politician challenged Mr Carmichael to "look me in the eye and tell me that 100,000 more children living in poverty is a price worth paying for Westminster government". The Lib Dem responded: "What will happen is that that decision will be made at the general election in 2015." Ms Sturgeon went on to challenge Mr Carmichael about what additional powers Scotland would get from Westminster if it voted No. She also asked how a No vote would affect Scotland's budget as calculated through the Barnett formula. Finally, she pressed him on whether the Liberal Democrats would enter another coalition with the Conservative Party. 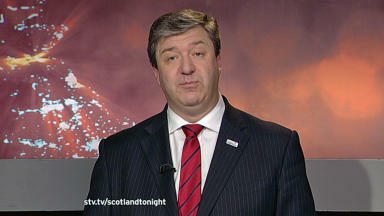 In his series of questions, Mr Carmichael returned to the issue of EU membership and a currency union. However, he saved for last a question about the impact of independence on ship-building jobs. He asked: "Do you think the convener of the shipyards at Scotstoun was wrong when he said that independence would be a threat to the jobs there?" Ms Sturgeon replied: "I used to represent Govan shipyard as you know and I know the convenor of Govan shipyard very well and I listened very carefully to what he said on television and when he was asked the question 'what happens if Scotland votes independence?' He said he would expect all politicians of all parties to get behind the Clyde yards, because they are the best place to build these ships. "I will support the Clyde whether Scotland is independent or not. Will you support the quite whether Scotland is independent or not?" The Secretary of State said he would support the Clyde but he insisted that jobs would only continue to come to the Clyde if Scotland was part of the United Kingdom. "If you choose to walk away from the United Kingdom, then you walk away from these jobs," he maintained. Ms Sturgeon accused her rival of "talking down the Clyde", a charge he strongly rejected. "I have never talked down the Clyde, what I have done is I have brought jobs to the Clyde as part of this government guaranteeing ship building until 2034 so no lectures from you, thank you on that," he riposted.